As it says above basically. 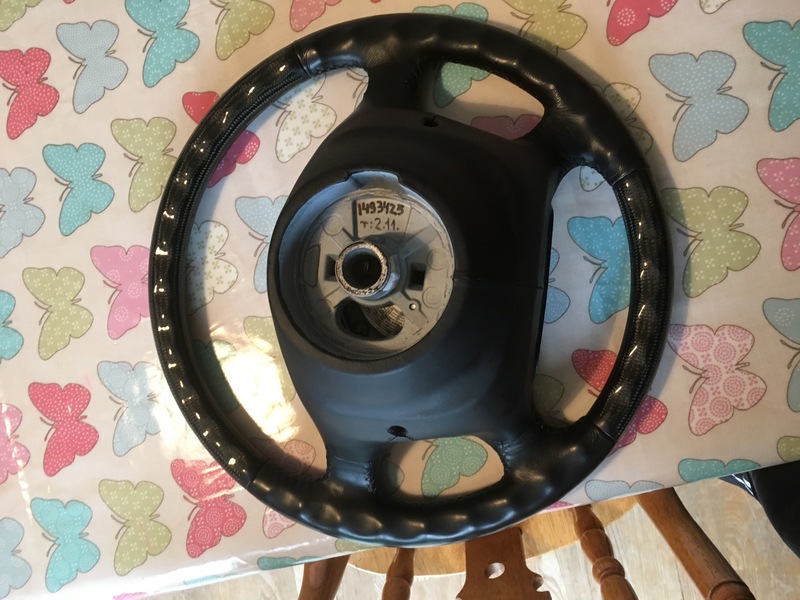 I’ve just fitted an aftermarket steering wheel and I’m thinking of putting my genuine wheel up for sale. 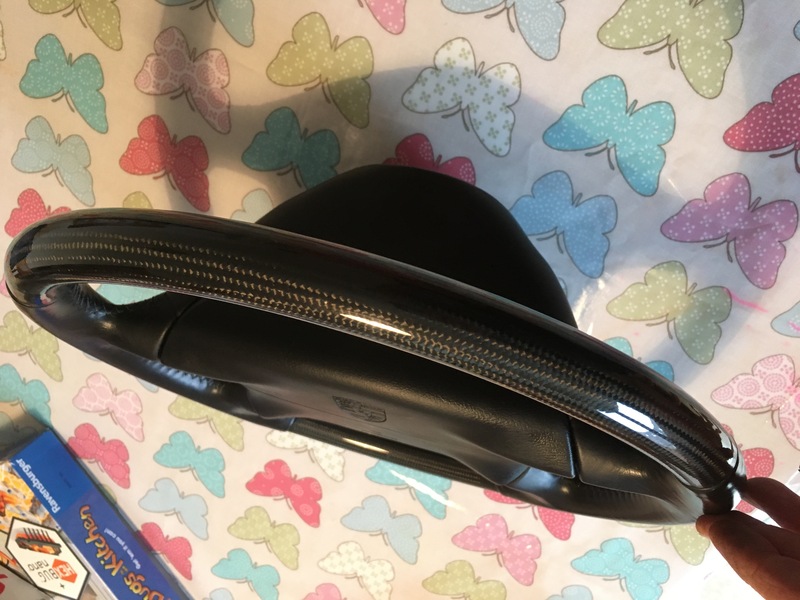 Problem is that I have no idea what it’s worth as I’m relatively new to the Porsche scene and I can’t seem to find any others for sale. It’s a four spoke black leather wheel with the carbon on the top and bottom. It’s in very good condition except for a mark in the leather on each side where the screws go in to hold the air bag. The air bags included obviously. The carbons in first class condition, no scratches etc. I suspect it’s worth a lot to the right person, but finding them is going to be the challenge. If it were the three spoke I suspect the market would be larger. I’d say if it was 3 spoke I might have kept it. 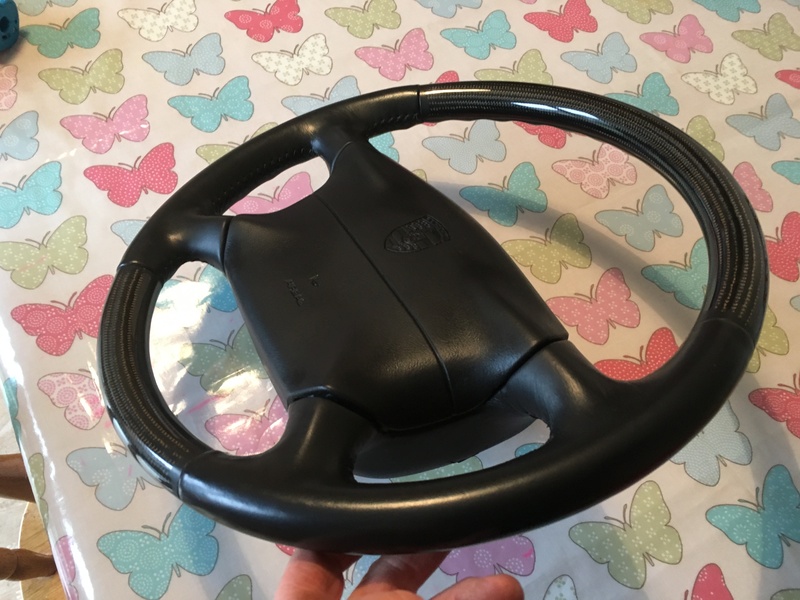 I just fancied a suade omp wheel. That’s the only real reason for changing. For - Rare option carbon fibre. Against - it's the ugly 4 spoker and whilst the carbon was a rare option, how many people would want it today is anyone's guess. I'd box it up and store it, as it's part of your cars original spec I'm guessing. The next buyer may well want to be able to revert to factory spec. Failing that, eBay is the decider. That is what ebay is for! You might be best keeping it for when / if you sell the car. I’m not sure it was in the car originally but it’s nice to have. Like it says above, they’re stupendous money new and it’s in perfect condition. 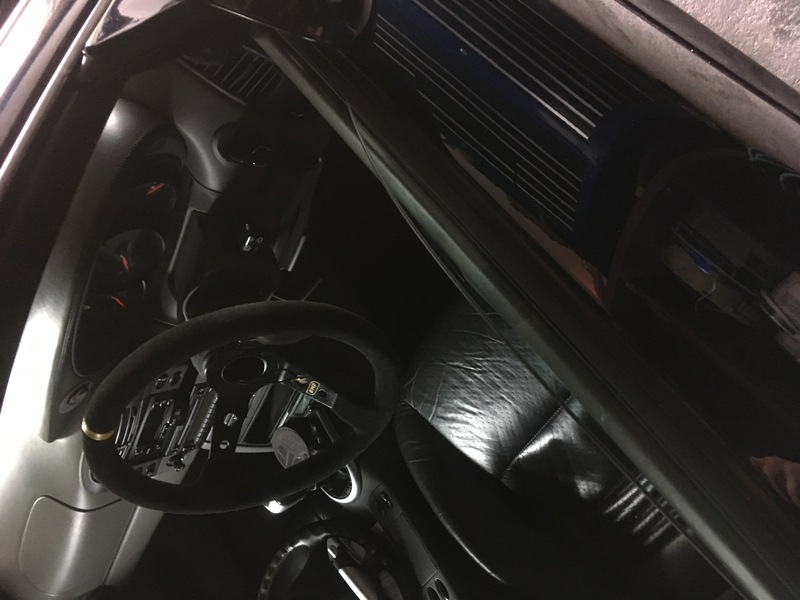 I also have the carbon and alloy gear stick and handbrake to match. I would sell it if I thought I could put the money into re-bushing the suspension or somewhere that I could really appreciate it. I would be tempted to keep it, if it was original spec (I think that would show on the build-sheet (on Frunk lid) - that shows the codes that say what options were on your car)....I doubt you will get that much for it. As an aside, I love the OMP steering wheels, however losing the benefit of airbag always puts me off. So will probably just get mine thickened by Jack at Royal.....but will never look as good as a proper racing steering wheel. I don't worry about the airbag. I grew up riding motorbikes though and cars with no airbags. What will be, will be. Same here marky. I’ve bent a few yokes without them. 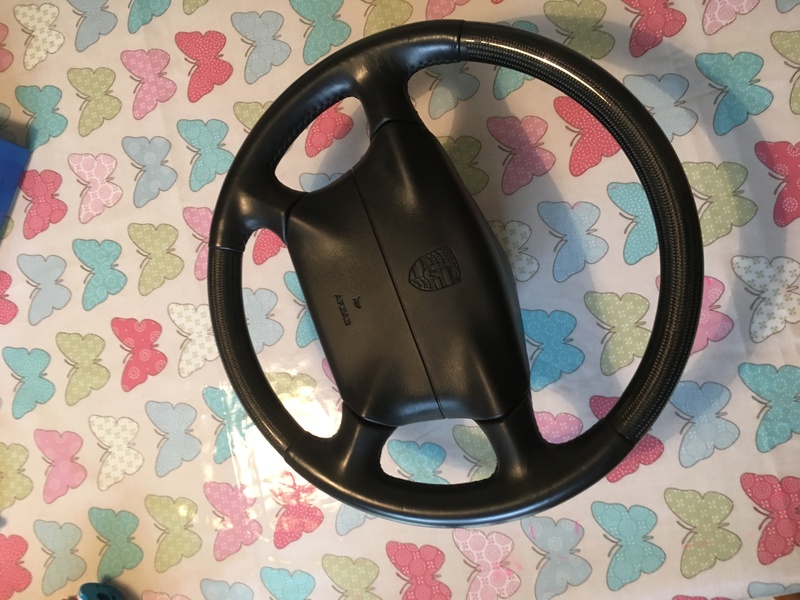 I sold my 997.2 carbon pdk wheel for £500 without airbag , if that helps.